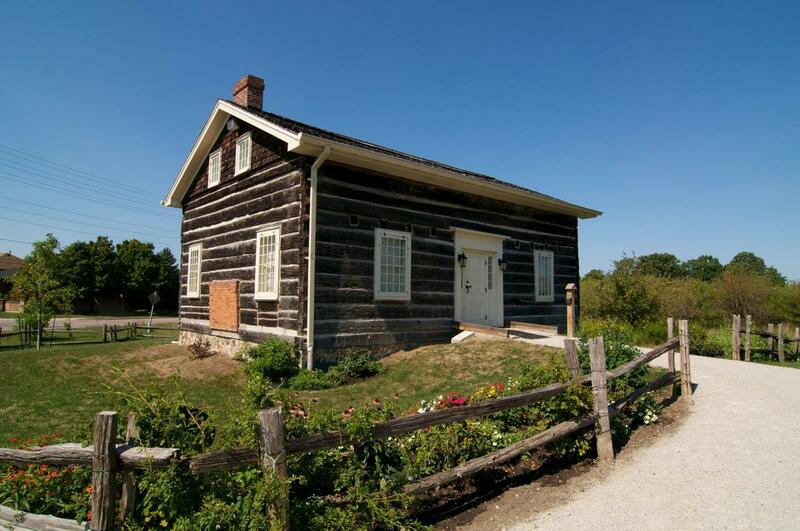 The Leslie Log House, located at 4415 Mississauga Road, was originally the home of John Leslie Sr. and his wife Esther Beattie Leslie who came to Upper Canada in 1824 from Sutherlandshire, Scotland. John Leslie Sr. leased 200 acres to the north of Streetsville and 21 years later bought the property. In 1826 he built this white cedar, storey-and-a-half, log house. The house was a short distance from Mullet Creek. There were seven children in the Leslie family. One, Robert Leslie, was a master builder. Another, George, ran a successful nursery in the area that became known as Leslieville, Toronto. In 1860 the house was renovated to give it a more neo-classical appearance with a wide central door flanked by side lights. Another later addition was a full basement with stone walls. By 1880 the house was covered in clapboard siding. The siding was removed about 1960. In 1994 the Leslie Log House was relocated from 7250 Mississauga Road, just north of Derry Road in the Meadowvale area, to its current location on the Pinchin property, 4415 Mississauga Road. 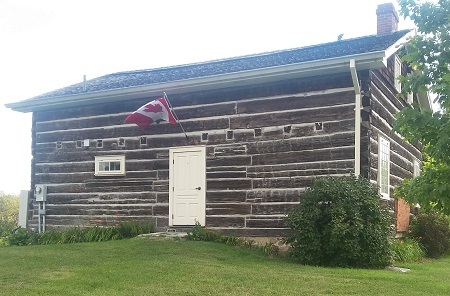 This 26 feet by 36 feet building is a rare example in Mississauga of early 19th century log construction. There have been a number of renovations, such as the addition and later removal of a summer kitchen, but the original structure has been preserved. It is designated under the terms of the Ontario Heritage Act and is now home to the Streetsville Historical Society and the archives.